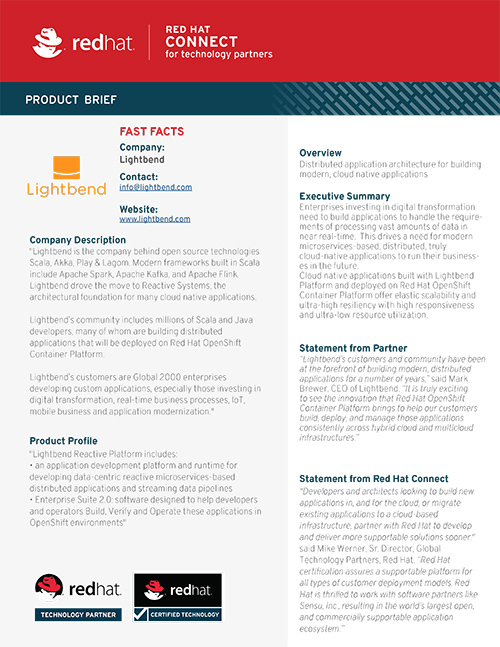 In 2018, Red Hat and Lightbend launched a strategic alliance providing an integrated approach to building, deploying, and managing cloud-native applications built with Akka, Lagom, Play, Scala, and Java. 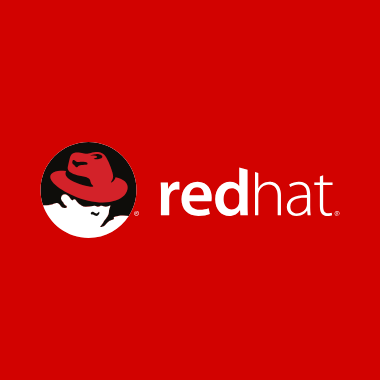 Lightbend is now certified on Red Hat® OpenShift® Container Platform to offer elastic scalability and ultra-high resiliency with high responsiveness and ultra-low resource utilization. Meet the Lightbend team at Red Hat’s Microservices Day Atlanta 2019 (past) and Red Hat Summit 2019! Achieve ultra-high responsiveness, elasticity, and resilience demanded by cloud-native systems with Reactive microservices. Deliver Fast Data applications by combining AI, ML models with high-speed processing for big data in real-time. Reduce risk with production-grade, enterprise tools to Build, Verify, and Operate distributed applications. To compete in a fast-paced digital economy, businesses need to develop, deploy, and scale new cloud native applications quickly and cost-effectively. In many cases these applications are data-centric in nature and have requirements for real-time or near real-time processing of data. Lightbend being fully certified to run on Red Hat® OpenShift® Container Platform means that enterprises now how an end-to-end capability for enabling enterprises to run their businesses more effectively with cloud native applications. The Actor model provides a relatively simple but powerful way to design and implement reactive applications that can distribute work across clusters of cores and servers. Author Hugh McKee shows you how Actors behave and interact as humans do when it comes to communicating, and how these similar behavioral patterns provide basic intuition when designing reactive systems. Actors allow your teams to focus on an application’s business logic rather than on low-level protocols, accelerating time-to- market while keeping your infrastructure costs low. In this white paper, we review Akka from “A to Z”, starting with a tour from the humble actor and finishing all the way at the clustered systems level, including an introduction to enterprise features that are part of Lightbend Enterprise Suite.